If you haven't heard of Eye of Horus Cosmetics then you are in for a lovely surprise. When I received a cosmetic care package from them I didn't expect addiction. 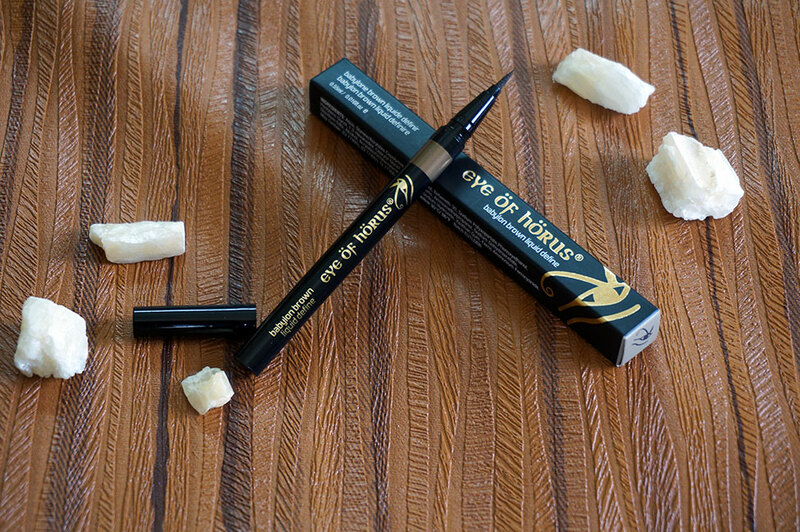 I am starting with reviewing their Liquid Define Babylon Brown eye marker which has now become my everyday essential. Want to know why? 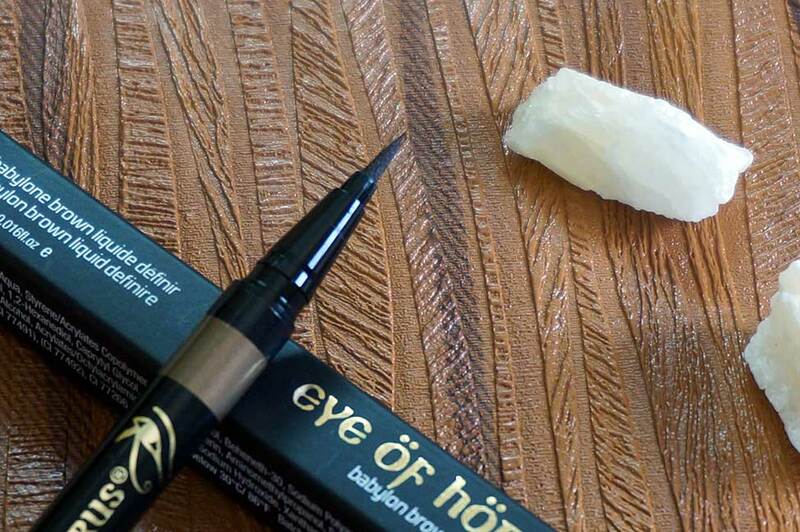 Eye of Horus is an Australian based cosmetics brand which deals mainly with eye makeup products. What is even more alluring for me is that I am simply obsessed with Ancient Egyptian mythology (I have an Ankh tattoo on the back of my neck to prove that!) and the brand name, as well as products, are inspired from that. This makes this brand even more attractive to me. 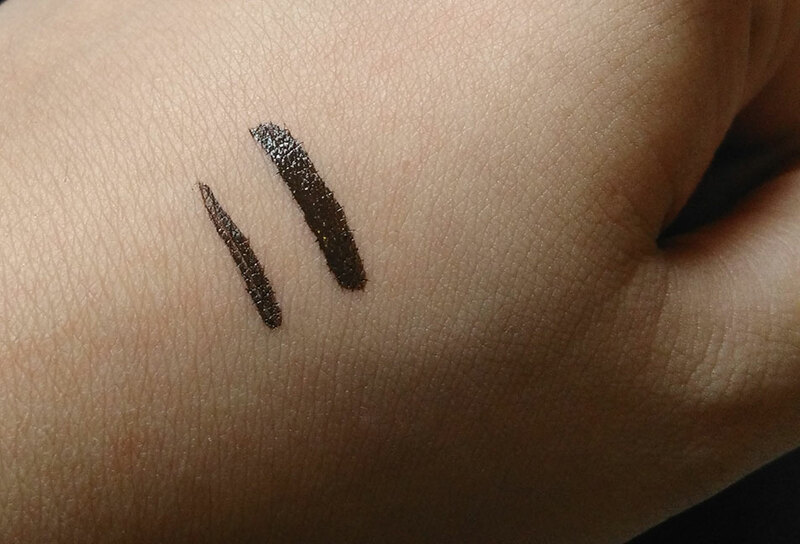 "Amazingly easy to use, the liquid liner pen draws a gorgeous dark chocolate brown line on the lid, creating perfect definition. 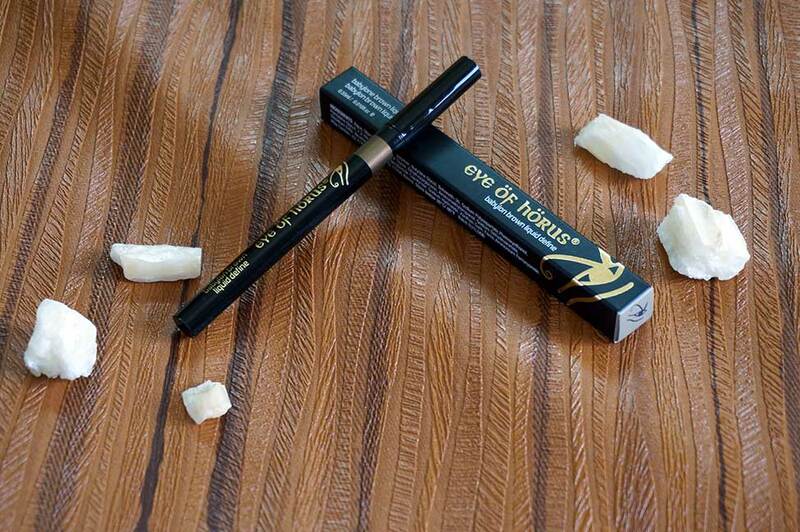 Our Liquid Define is the ultimate long-wearing, waterproof liquid liner pen. Unlike other liners, the precision-tip pen provides smooth and controlled application every time and easily draws a thin or thick line in one sweep." The packaging is drool worthy. It is black with white and gold text and the design is beautiful. Every product has a hint of color that it represents, in this case, brown. That gives a personal touch. It really does feel like it's made for Makeup goddesses like me. It makes me feel good when I am using it. The best part is that they are actually quite simple yet have an impact. 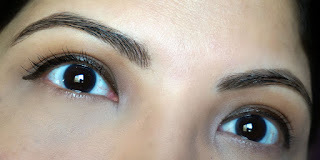 "If the liquid liner seems to be dry remember you can easily prime it. To prime the Liquid Define, and get the liquid to the tip of the felt pen, pull off cap and turn it upside down like a cup and carefully bend the tip slightly to point down inside the cupped lid to push liner liquid to tip. This will keep the liquid in the barrel filled to the tip, and a beautiful full line. Always ensure the Liquid liner cap clicks, to eliminate drying." I am definitely ordering another one becuase its my goto liner these days and I am sure it will finish soon! Eeek. 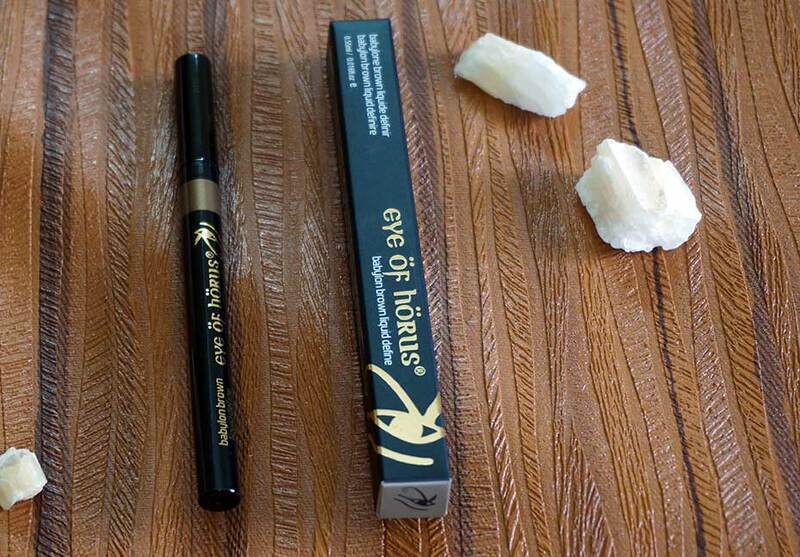 Eye of Horus is not available in shops here but you can order their products online (woohoo!) from HERE. The Liquid Define Babylon Brown retails at AUD $30. The color payoff looks great and it looks like it glides on smooth, thanks for sharing! I hope you have a wonderful weekend, beauty! It really is smooth and glides on perfectly. You should give it a go! This one is super cool and they even gave a tip on how to fixed dried up markers :) I am using it daily and have seriously fallen in love! 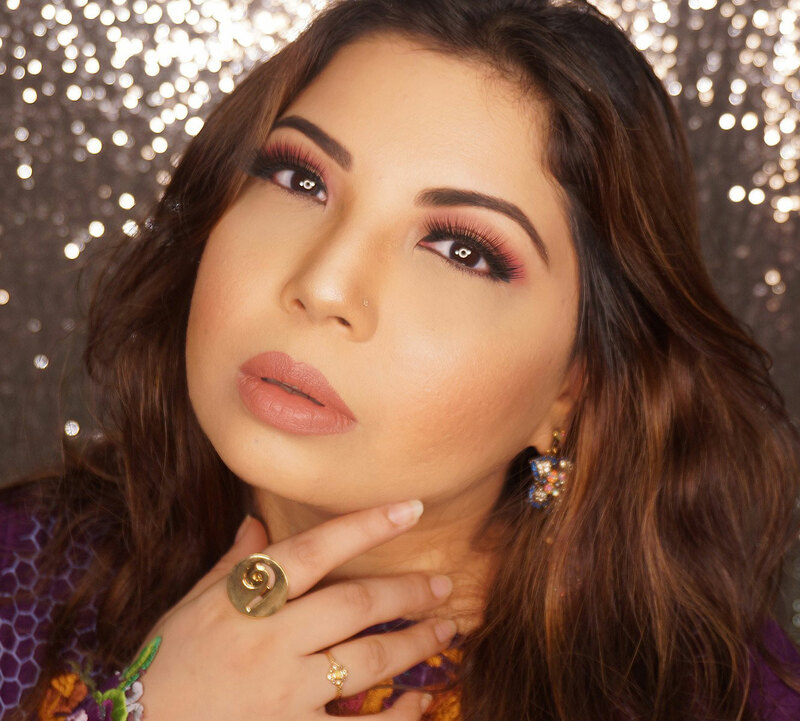 Same here Jadirah they are so easy for On the go Looks which is like AWESOME for work!! $30 is a bit steep I think but your review looks like its worth investing in. One of the BEST brown eye liners I have come across! This liner sounds amazing and worth its price. Great review. It is Momina! That is what made me fall in love with it and the fact it dries instantly and doesnt smudge!